Express your holiday greetings by sending a bunch of flowers together with an Island Rose exclusive gift item. 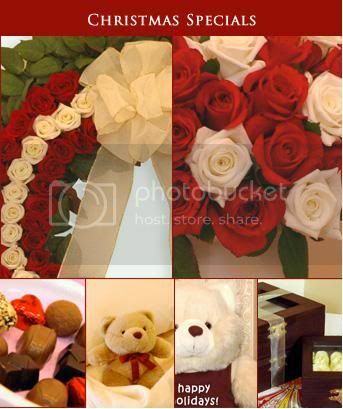 This entry was posted in Philippine Flower Guide, Philippine Gifts. ← Avoid the Christmas Rush and Save 10%!